Earth Care, People Care, Fair Share - How do we get there? Sub-tropical Karamea nestles up to Kahurangi National Park, as far North as the Mainland’s West Coast will take you. Named the ‘beginning of the road’, for many who live here the ‘road’ is being the change we wish to see, walking it in a way that heralds in, as Eisenstein would put it, the ‘more beautiful world our hearts know is possible’. The strength in Karamea lies in its community. People take time to chat, share excess produce, and know who might need a visit from the Rural Nurse. 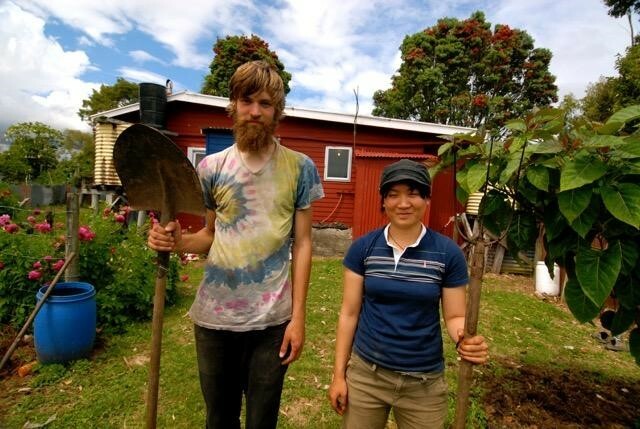 Whether a dairy farmer or an off-grid lifestyler, the majority of folks here understand the value of growing their own food. On the face of things the commercial dairy industry dominates the landscape, but scratch the surface and you’ll find a plethora of wriggling worms… the Permies are most definitely in town. 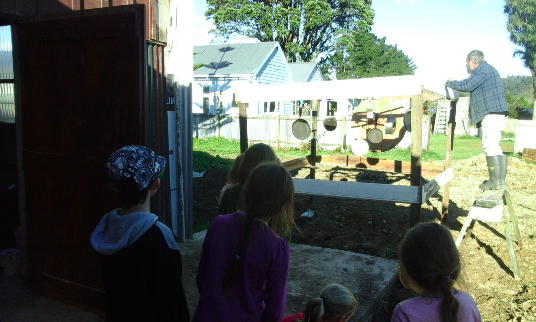 In the surrounding hills at end-of-the-track bush blocks, in back gardens within the town and in how people are choosing to run their businesses, elements of Permaculture can be found. It’s difficult to say how many people have moved to Karamea in search of a simpler life; there are many scattered off-grid dwellings in various stages of development hidden away. Those that have established themselves successfully live with all the mod cons you’d expect - solar power and water, a lush organic garden, compost loo, carefully thought out water systems and a lifestyle that moves with the seasons … Many find work in the community to make ends meet, however finding the balance can be tricky at times - this struggle is a common theme for those transitioning to a low impact lifestyle here. The summer of 2017-18 brought a period of drought to the region - an extreme contrast to the coastal flooding that had rinsed through the area just months before. 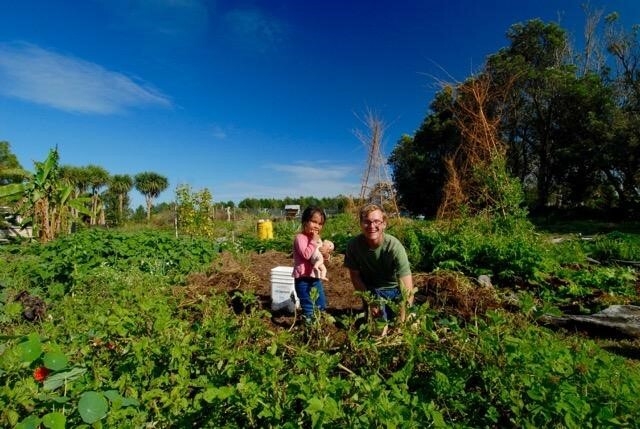 Many local growers and home gardeners felt the pinch, and those practicing permaculture are now incorporating preparation for more extreme weather conditions into their designs. Practically, this looks like more water storage, addressing how we respond to coastal erosion and building for cyclonic conditions. For permaculturally minded business folk, organic fruits and eco-tourism are at the top of the list. Subtropical tamarillo, black passion fruit, and feijoa are exported by businesses such as the Partridge’s Baker’s Creek Orchard in Winter, complimented by berry fruits likes Steve Miller’s Blueberries over Summer. 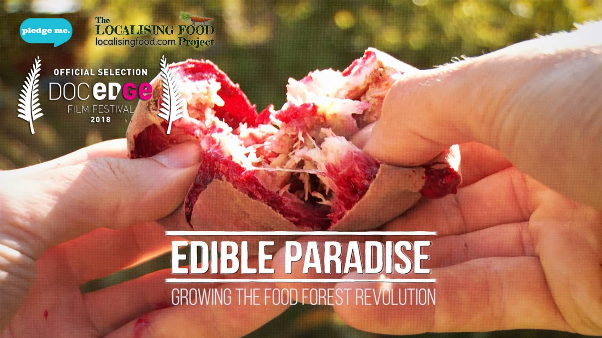 In order to obtain a sustainable yield, the LivingInPeace project has attempted to apply the principles of permaculture to both the running of the business and the lifestyle that goes with it. 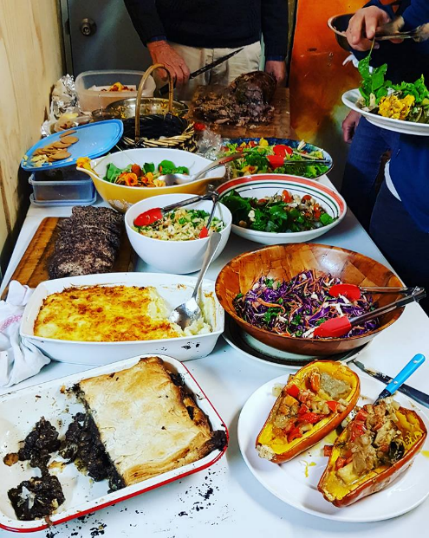 Visitors to Karamea can experience staying on a developing permaculture farm, to discover where and how their dinner is grown and gain a visceral understanding of how the permaculture principles work in action. 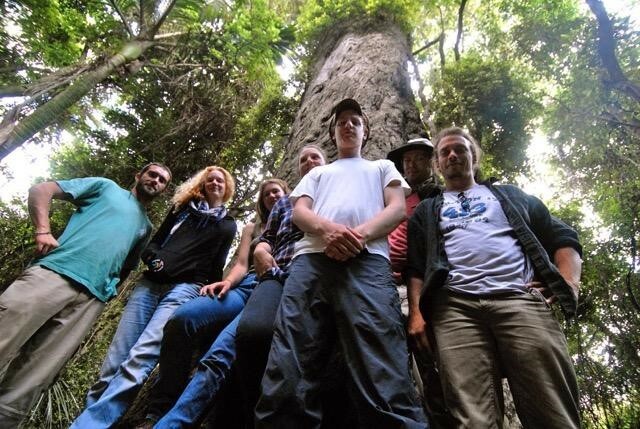 The project also keeps a local 80-acre regenerating bush property as a Carbon Sink, to offset emissions associated with the business - most who visit fly from somewhere far. The LivingInPeace Project has been blessed with an incredible amount of input from creative people from all over the world. 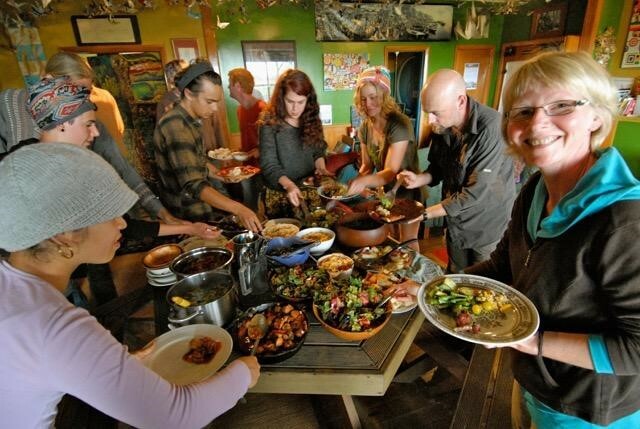 We have been a Wwoofing host for about 15 years and have hosted over 1,000 Wwoofers. As a result, the project, which I always refer to in the plural…it’s a “we” not a “me” thing…is evidence of the collective imaginations of a whole lot of creative people from all over the world. 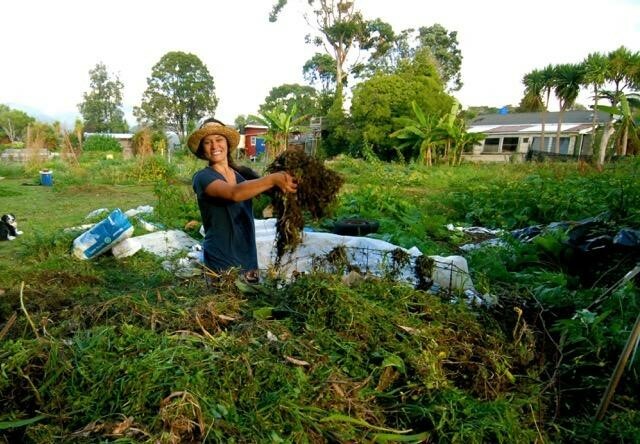 “I would advise people considering a permaculture venture to avoid borrowing money from banks altogether as the interest and principal repayments are a significant distraction from the goal of sustainability… Paying the bank becomes the priority. I would suggest instead to raise money via crowdfunding or via the investment of interested people instead of corporate lending…. There is a saying in permaculture that ‘the problem is the solution’, I like this thinking very much as it enables creative solutions to all challenges”. Just down the road from the LivingInPeace Farm sits a bright yellow house, the unassuming home of radical community action. 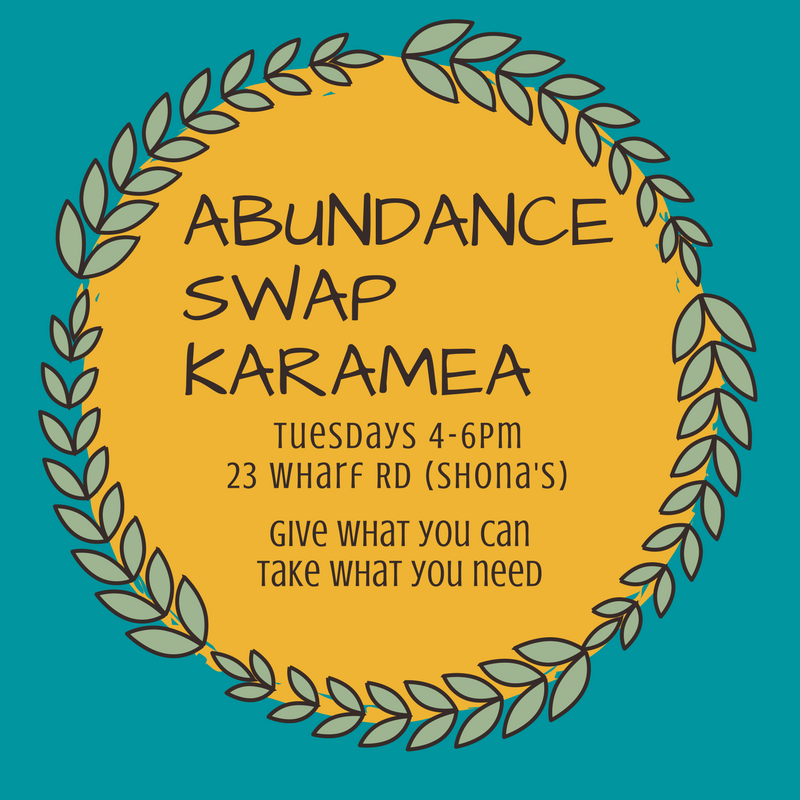 In Spring last year, a group of locals, inspired by Taranaki’s Crop Swap, got together and created Abundance Swap Karamea - a weekly gathering where people could swap whatever abundance they had. Space in a home was offered, a quick poster was drawn up, and soon people who didn’t know each other were laughing over homemade cheese and crackers whilst swapping compost toilet tips. This is People Care and Fair Share in action. 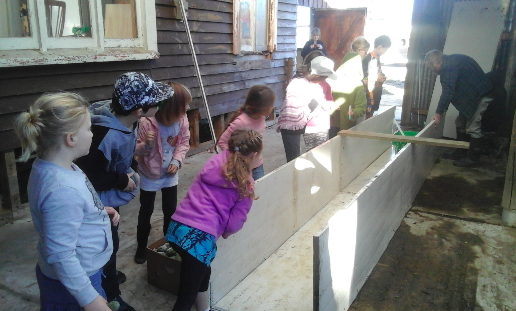 Abundance Swapping took a winter break but is set to return to Karamea towards the end of Spring, when excess produce and alleged more time becomes a thing again. This one’s a perennial. 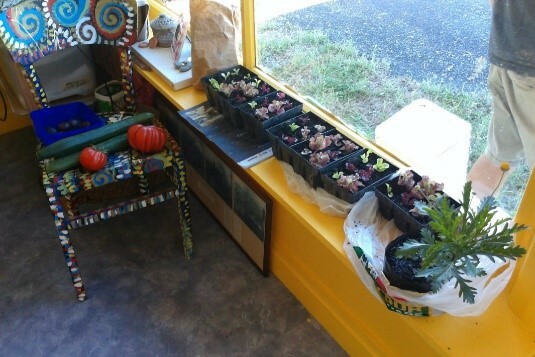 “If you have room in your garden, give some Heirloom plants a home”. 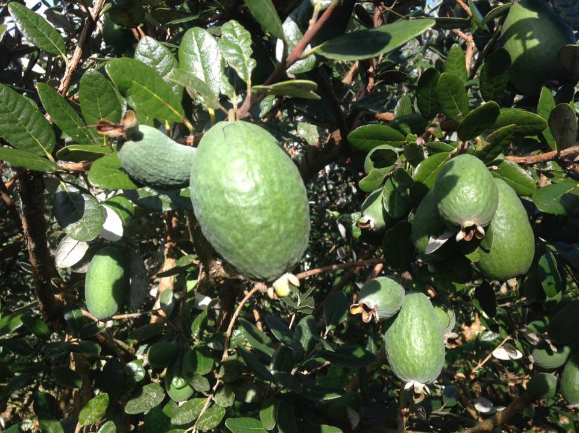 So, this year, whilst harvesting Karamean feijoas and wondering what to do with an early and abundant unsaleable windfall, Sacha was struck by an idea: Feijesta. Concepts were solidified, jobs shared out among volunteers, and before you could say “Olé!” an event of wonder was upon us. Kevyn rigged up an intricate moving target from old bike parts and some flying saucepans along with a ‘bowling alley’ - the ammo? frozen feijoas of course. It was an afternoon of inspiring celebration and creation featuring feijoa-themed games for big and little kids, music, a BYO Share/Swap/Sell market of locally-grown produce, locally-made products, arts and crafts, a colouring in competition, and spot prizes for fancy dress. Over 40 people came to the event, watched the screening and shared a wonderful pot-luck dinner, whether they liked feijoas or not! What’s evident is the shift from self-sufficiency to community sufficiency. In the words of Edgar Cahn, “we have what we need if we use what we have”. 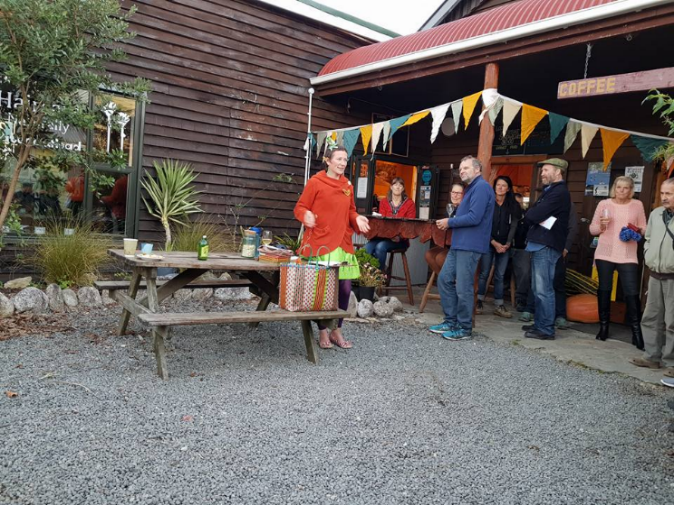 Projects like Karamea Winter School, a totally volunteer run, community-led series of workshops/classes hosted over July by locals for locals, are starting to cater for our morphing needs. 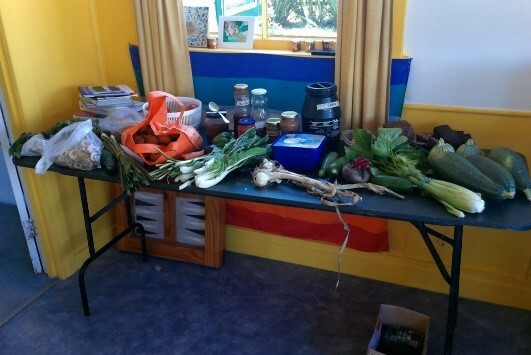 Popular offerings this year included making DIY waxed cloth food wraps and seed saving. A ‘Free Shop’ has been created at the Dump by Sue-Ellen Vargas - leave what you like, take what you like. These are all small things right now, but they allow for integration and sustainable growth. Earth care, people care, fair share - how do we get there? We’re starting by working together at the beginning of the road.